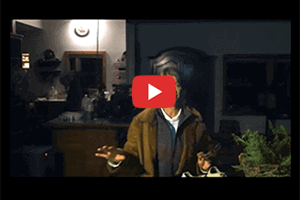 When a water damage emergency occurs, it can be difficult to know what steps to take next. Whether the emergency is a flooded basement or due to frozen pipes, it’s important to call on professionals to handle the water remediation with care. 911 Restoration of Birmingham knows how to take care of any kind of water extraction emergency. Our trained technicians in Birmingham are licensed, insured and bonded for any kind of water extraction. The staff is always on call, 24/7/365 and responds to all calls within 45 minutes, so you are never left waiting for any kind of water remediation. No matter what kind of water removal you need, the technicians will be there in a timely manner. 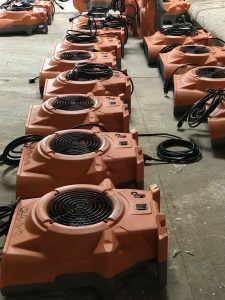 As soon as you call the water damage professionals, the cleanup will begin as soon as possible. Whether the water damage emergency is caused from natural disasters such as storms and tornadoes or sewage such as frozen pipes, 911 Restoration of Birmingham can handle it all. 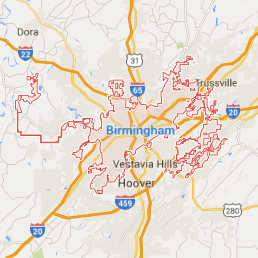 Our staff has years of experience in Birmingham, Bessemer and the surrounding areas. A same-day service will be implemented for all water cleanups. Also, a free visual inspection for property owners only is offered. For the best care possible, call 911 Restoration of Birmingham for all of your water extraction needs. 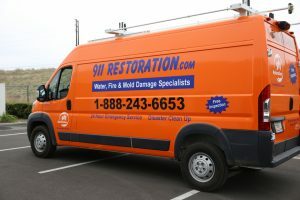 The specialists at 911 Restoration of Birmingham care about all of the property owner’s water damage extraction needs. It’s important to ensure that the property is ready to sustain any kind of inclement weather, including storms and tornadoes as these can lead to home flooding. The water damage restoration staff are trained to handle any kind of flood or leak with care. The property will be cleaned and dry with a quick turnaround. The experts take pride in their water extraction work. The Birmingham experts will take you through the water remediation process step by step. They cares about all of your water extraction needs, from mold remediation to sewage backup cleanup. Living in Birmingham during the winter can have difficult side effects on the property. Freezing temperatures can impact the property, and lead to frozen pipes and flooded basements. This can not only be difficult on the plumbing, but on the property as a whole. 911 Restoration of Birmingham is trained to handle all of these water damage emergencies with care. You can rest assured knowing that your flooding emergency is in the best hands possible. The water damage technicians will clean and dry your property after any flood with a positive attitude. Call 911 Restoration of Birmingham for all of your flooded property needs today. After a water damage emergency, mold can follow shortly after. These black spores may seem harmless, but they can cause lots of difficult side effects for the property owner. Symptoms such as headaches or a cough can be common when there is mold left in the previously damp area. The mold can also cause unintended structural damage to the property and can further deteriorate over time. The Birmingham water damage technicians are trained not only to remove any water from the flooded area, but to treat the mold as well. 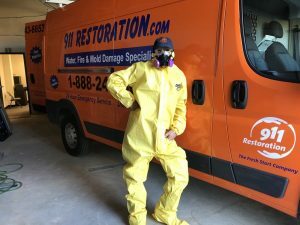 The mold remediation experts of 911 Restoration of Birmingham goes the extra mile to ensure that no mold is left behind. If any kind of mold growth infestation is spotted on the property, the technicians will stop it in its tracks. Our professionals truly puts the customer first, and wants to ensure that they are safe and healthy as possible. Mold decontamination will occur immediately after any flood cleanup on the property. The experts will take care of all of your mold removal needs today. If any sewage has been inadvertently spilled onto the property, it’s important to get it cleaned up as soon as possible. The Birmingham technicians are in charge of cleaning up the sewage, whether it is caused from burst pipes or a backup in the Birmingham sewage system. It may seem easier to take care of this sewage backup cleanup on your own, but please rest assured, the technicians at 911 Restoration of Birmingham have it covered. The black water from the sewage can continue to rise and become problematic down the road. The staff is trained to handle this with care. The water damage experts will disinfect the property after any flood cleanup or sewage backup, and it will be restored in no time. Whether the leak is occurring from the walls or the air conditioning, the experts can handle it all. The water remediation technicians at 911 Restoration of Birmingham truly put the safety of the customer first. Any fire damage remediation can be incredibly dangerous, and should never be tried to handle by the property owner. The damage caused by any fire and smoke emergency will need to be analyzed by the technicians. The fire cleanup and odor removal will be taken care of in a timely manner. The professionals in Bessemer are trained to take care of any ash water removal, soot removal and more. The structure of the property will be maintained, and any important documents will be saved as much as possible. Fires can be a hazardous and difficult time for any property owner. Take care of your property and emotional needs by calling the best in the business. Our experts will go the extra mile to protect your property from any fire damage. Living in Birmingham, many kinds of property flooding can occur, including sewage backup and frozen pipes. The water damage technicians are able to handle it all, and take care to protect the property from any natural disasters. Water damage can occur from many natural causes, including storms and tornadoes. This can cause flooding on the property that needs to be dealt with immediately. All damage from winter storms in Birmingham will be handled by the water remediation technicians. When your property is threatened by flooding or burst frozen pipes, you need a team that can handle all of your needs with care. 911 Restoration of Birmingham believes in a Fresh Start attitude for both you and your property. Call the experts today for the best water remediation possible.